It seems a common occurrence for people to think their family is crazier than everyone else's family. For theater critic, Mortimer Brewster, he may actually win that contest. 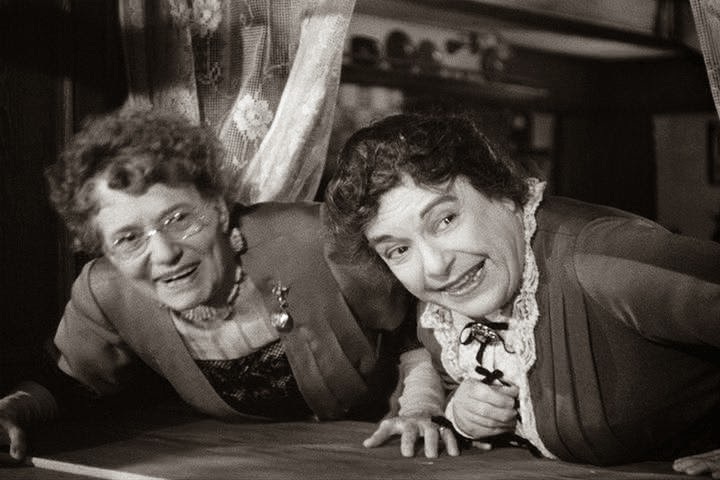 The excitement begins when Mortimer takes his new wife to see his aunts before heading on their honeymoon. 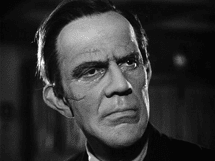 That night, he discovers his aunts murderous deeds; his Boris Karloff looking brother returns to hide from the police; constant complaints against Teddy requires him to finally be committed. So in one night Mortimer has to keep his aunts' secret from being discovered, but stop them from continuing their poisonous practice. He has to procure all of the necessary documents to commit Teddy. Then he has to get Jonathan to leave the house without the man killing him. 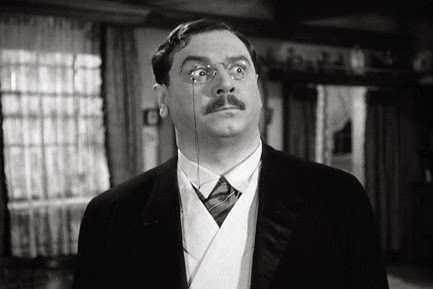 Mortimer has to deal with all of this while keeping his new wife from finding out, and with the police constantly stopping by. Is there any wonder Mortimer fears becoming crazy himself? Hahahahaha... Fantastic post. No wonder Mortimer fears lunacy. He was almost committed to the asylum too. When I saw this movie for the first time I couldn't stop laughing. The confusion (and competition) around the number of corpses is pretty funny. So many crazy characters all jammed together. It's a hoot! Thanks for your comment. A definite hoot! You can't help but laugh out loud. Great review! It is such an odd film, and if a few things were tweaked, it could be set in a very different genre! 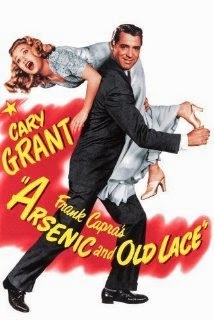 I love Grant's performance as a man barely hanging on to his sanity, but doing so with humor and wild antics as only Cary Grant could! Thank you so much for your comment! You are absolutely right that a few tweaks could really change the tone of the film. I was thinking of that as I was writing my review. Love, love, love this movie. There is no crazier family than the Brewsters. My favorite characters are the bad doctor and the brother who thinks he's Teddy Roosevelt. This is my go-to feel-good movie. It never fails to cheer me up, thanks to the oddball characters. 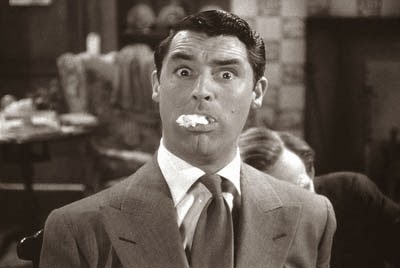 My favourite part is when Mortimer screams as the old man starts to drink the wine - Cary Grant's facial expressions are priceless!